The Reformation was quite possibly the biggest epoch in Christian history. As the name of the movement suggests, the Reformation was an effort to reform the Catholic Church. Though most view this as a mere attempt to rid the Church of corruption within the hierarchy, it was also a serious theological, philosophical, and sociological turning point in Europe—the effects of which are still being felt today in the West. The Reformation, most specifically Martin’s Luther theology, fundamentally changed the Christian world. The common theme, philosophically, theologically and sociologically is one of individualism. There is a significant shift in emphasis from community and inter-personal dependency to a heightened individualism and sense autonomy that occurs, in part, due to the Reformation. Perhaps the most intriguing and controversial doctrine to spring forth from the Reformation is Luther’s Sola Scriptura, Latin for “scripture alone.” Luther believed that the only authority needed to guide the church, doctrinally and morally, was that of Sacred Scripture. In many ways this was a warranted reaction against the rampant clericalism that dominated Western Europe during the sixteenth century. However, it had very interesting ramifications. For starters, prior to the dawn of Sola Scriptura, now the dominant doctrinal position in contemporary Protestantism, the scriptures did uphold an especial authority in the Church; it was simply not the only authority. As far as Catholic understanding is/was concerned, the Tradition and Scripture shared a co-dependent and equal authority. In other words, the Tradition could not be trusted without Scripture and Scripture could not be properly interpreted without the Tradition, specifically the divine revelation entrusted to the Magisterium (the teaching office of the Church). This remains the Catholic understanding to this day. So, Luther’s proposal was not merely asserting the authority of scripture, but positing that any and every Christian had, by themselves, the authority to properly interpret it. This describes what we might call a transfer from a social epistemology to an individual epistemology (mode of knowing). Essentially, in Protestantism, knowledge of the scriptures and the lessons they were intended to convey moved from being a social, dialogical process (as purported by the Catholic Church) to something that each individual had the autonomy to do by himself. Certainly, this prevented hierarchical corruption, being that the Tradition was no longer viewed as authoritative, and gave interpretive power to individual Christians. However, it ushered in several novel problems of it’s own. For example, it became increasingly difficult to maintain unity throughout Christendom. 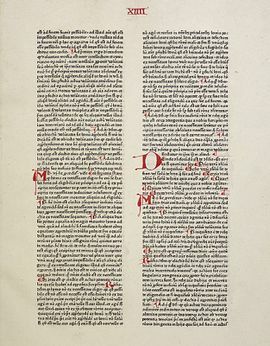 Several contemporaries of Martin Luther followed suite and began their own reform movements proffering different understandings of the Gospel (Calvin and Zwingli to name a few), appealing to this doctrine of Sola Scriptura. Moreover, this individualistic turn also seeped over into the relationship between theology and philosophy. To understand how, first we must briefly explain the dominant mode of theological discourse in the Middle Ages: scholasticism. Scholasticism was a mode of thinking about theological questions that was introduced through the dialectical method of philosophy. Essentially, in order to understand theological questions a scholastic would apply the use of logic to weigh varying traditional solutions. So, theological deliberation was always done in conversation with tradition, but also through the use of logic. Thus, the reason this method is called “dialectical” is because it presupposes that discovery of truth happens in dialogue. It is a social discernment and discussion with the past, positing that new theological depth can only be extrapolated from the existing tradition, building upon what has already been discussed and discovered. Thus, in scholastic theological thought three authorities reigned: scripture, tradition, and logic. Any theologian or individual must consult tradition, logic, and the scriptures when attempting to add to theological discourse. Luther rejected and challenged scholastic methodology in positing that application of logic to theological questions was corrosive and destructive. When looking for theological truth one ought to consult Scripture—both logic and the tradition were not apt resources. Luther indicated his disdain for scholastic philosophy in an explicit treatise entitled, “Disputation Against Scholastic Philosophy,” in which he hammered the scholastics for their integration of Aristotelian logic in theological thought and condemned the methodology more generally. Now, this separated the theologian from the preceding tradition in a way that was unprecedented. One could simply go to scripture to uncover theological truths; they need not consult with the traditional theological wisdom or apply logic,necessarily, to find the best or most reasonable conclusions. Truth, for Luther, was only revealed through the medium of divine revelation; philosophy wasn’t any help. Not only does the theme of individualism emerge in suggesting that the theologian be separated from logic and tradition, but also that theology itself should be distinct and isolated from philosophy. And so, a trajectory was established regarding the relationship between philosophy and theology: from a former synthesis to a suggested dissonance. In other words, I contend this was a turning point in Christian history when faith became something in paradox to reason. Lastly, Luther’s other main tenets sola gratia and sola fide, also (and perhaps unintentionally) created a salvation economy that was not predicated on community, but was a matter of mere individual assent. Why? 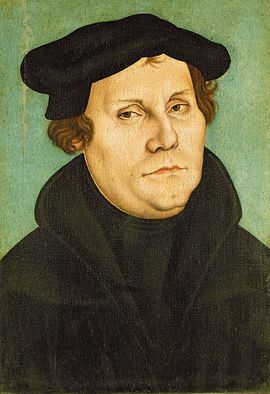 The doctrines of sola fide and sola gratia were attempts by Luther to remove individual effort or works from having any soteriological (salvific) merit. Works of charity, or good deeds, and sacramental participation were both separated from salvation in Lutheran theology. Luther argued that by faith, and faith alone, one merits eternal life: “Since we are justified by faith alone it is clear that the inner person cannot be justified, freed, or saved by any external work or act, and such works, whatever they may be, have nothing to do with the inner person.” Thus, salvation becomes about inner conviction of mind or assent to the Gospel. In this way one can see how salvation became an individual matter, not a communal one. This, again, was radically different from Catholic sensibilities. Though Catholics too believed that justification occurred by faith, they also held that salvation could not be divorced from the Catholic communion—bound by neighborly love and sacramental participation. For Luther salvation was a vertical occurrence—between an individual man and God. For Catholics this vertical relationship needed to also expand horizontally into the community--even touching the marginalized and the poor. ↑ Smith, David S. "Luther's Contribution to Positive Individualism." Concordia Journal 22, no. 3 (July 1996): 263-278. 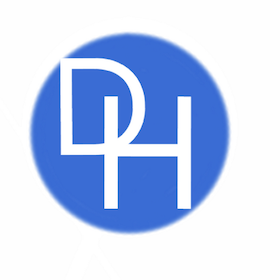 ↑ Theodor Dieter, Der junge Luther und Aristoteles: Historisch-systematische Untersuchungen zum Verhältnis von Theologie und Philosophie (Berlin and New York: de Gruyter, 2001), 28–37.